The Cool Woman by John Aubrey Anderson - Jimmie Aaron Kepler, Ed.D. 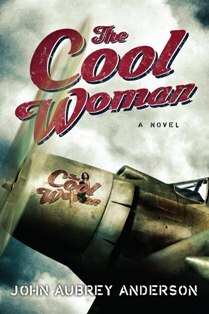 The Cool Woman by John Aubrey Anderson is a military action-adventure. The story is set in Vietnam of the early 1970s. The book’s main character is Bill Mann. He is a pilot. He flies the Douglas A-1 Skyraider. His primary mission is rescuing downed pilots and military troops in trouble. Mr. Anderson does a good job of making Bill a realistic character. As you read the book you’ll feel like you are in the airplane on mission. The author does a good job of holding your interest. You’ll find your heart fluttering at some of the suspense. There’s a mixture of wit and faith in the book. It’s handled tactfully, getting the message delivered without being preachy. He asks the question and deals with the importance of God. The book held my interest.